This weekend a full complement of PRATS is making their way down to Hitchin Town. We could be in for a good trip; it may even have a hint of pissyarseness about it. 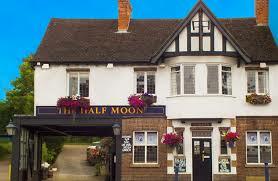 There are quite a few real ale options in Hitchin town centre; however, the Half Moon is holding a beer festival with up to 80 ales and 22 ciders & perries. 18 of the ales are brewed using green hops, celebrating the hop harvest so this is a very seasonal event. I should add that green hops generally encourage flatulence, and we have Pharp travelling with us. He doesn’t need any encouragement as a rule, so it is very important to undertake all the usual checks, electric car windows fully functional, pegs in glove compartment, respirator easily accessible, Pharp’s passenger door can be kicked open in case of real emergency and Pharp kicked out, safety boots required for this delicate operation. The food looks good as well, ‘Chicken Wings of Fire, bloody hell, better make sure Pharp doesn’t see them, he’ll turn into a flame thrower. 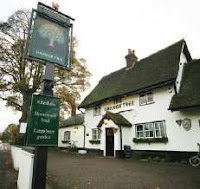 We are very close to the wonderful Orange Tree in Baldock, North Herts Camra Pub of the year 2015 13 ales and 4 ciders, and probably the best sausages you’re ever likely to taste in a pub and a very wide selection to choose from. The PRATS have frequented the Orange Tree on several occasions and never been disappointed. Buntingford ales are always on tap. The landlord is a Stafford Rangers supporters and was at Wembley in 1979, he feels obligated to remind us of the scoreline on every visit. Pharp always leaves a little parting gift, did I say parting? 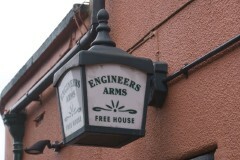 Also in close proximity is the equally wonderful Engineers Arms in Henlow. 10 ales and a few ciders. We’ve been a few times as well and will not disappoint, the food is excellent value for money, well worth a try. 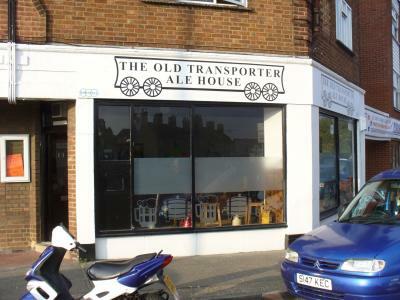 On route between Hitchin and Henlow is Henlow Camp where we’ll find the recently opened The Old Transporter. Look’s interesting; maybe we’ll give it a try or send in Marshall and Petit Chemise to do a recky. We must also get into Hitchin Town’s Canary club, last time we were there on Boxing a few seasons back they had a couple of real ales on tap. Decisions, decisions, where shall we go?